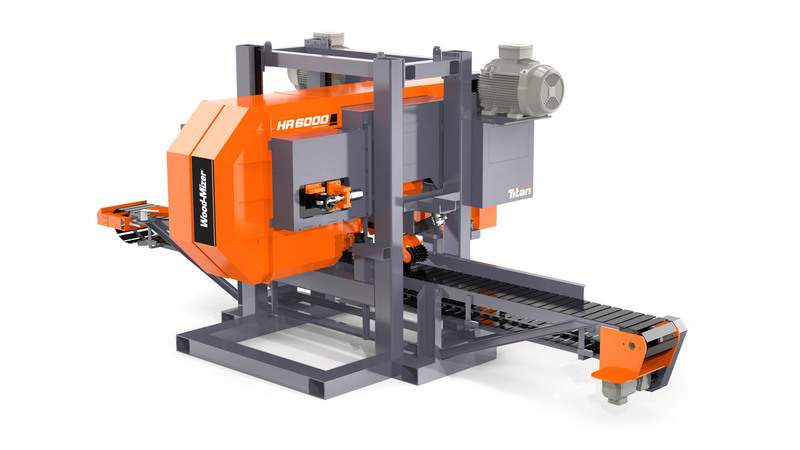 The TITAN HR4000 & HR6000 Twin Resaws offer ultra-fast size changes during the resawing process. As little as 0.3 seconds is needed to change the size for each and every sideboard (depending on thickness), even when feeding at over 20 pieces per minute (depending on board length). As a result optimal recovery is achieved, unlocking extra product that previously would have gone to waste. Importantly, no sorting of material is needed prior to this machine. 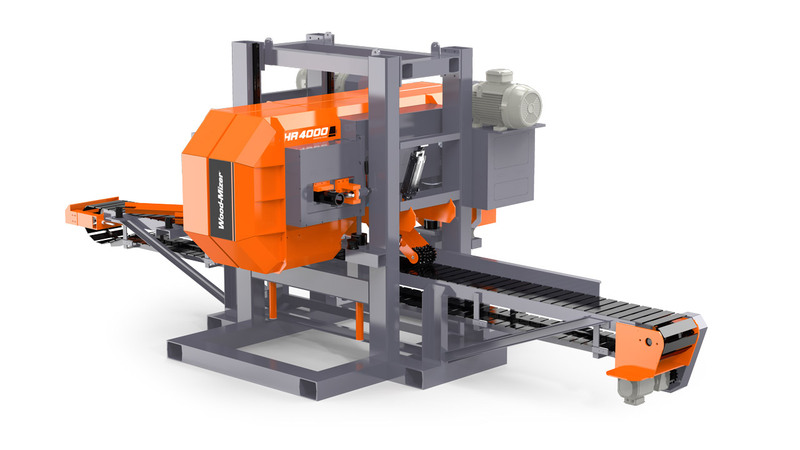 Both the HR4000 & HR6000 models make use of the same heavy duty feed systems. With its larger 6-inch blades, the TITAN 6 model is capable of faster feed speeds, thereby offering higher production capacity. By using a Twin Head configuration, it is possible to make two cuts into each sideboard with only one pass.